2013 is going to be rad. We’ve got a handful of events planned for Enligshtown including our favorite all weekend parties at East Coast Bash and Freedom Moves. 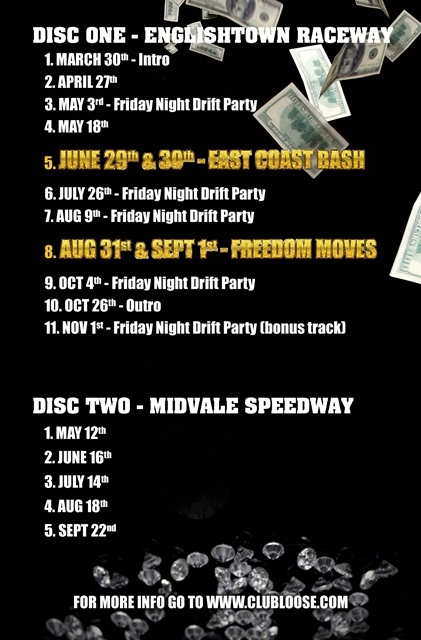 We’re going back to Midvale Speedway for the second year with 6 events planned throughout the season. We’re really excited about this year and can’t wait to get things kicked off. The first event is going to be here before you know it. So make sure those cars are ready, stock up on tires, and let’s get ready to rock!